It is estimated that 80 percent of newly planted trees are planted too deep. 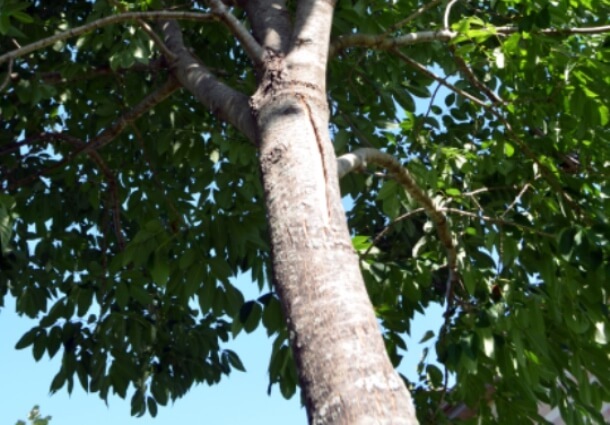 When this happens, the tree’s root structure can’t expand adequately to nourish and anchor the tree properly. Consequently, this is the number one reason why new trees perish. What about you – are you in too deep? If so, we can help! We can’t stress enough the importance of making sure trees are planted at the correct depth. Often times, trees don’t adapt well to deep planting because they begin to suffocate from the lack of oxygen. To improve the lifetime of your new tree, follow these simple steps. Step 1 – Investigate your soil. The first step you need to take is establish what kind of soil you have. Is it heavy clay? Is it sandy? Or is it loamy black soil? Then, figure out how it drains. Observe your yard after rainfall. Does your yard retain water after a rain or does the water seem to percolate well? These answers will help you determine whether your yard is a healthy place to cultivate a new tree. Step 2 – Find the root flare. To find the root flare of the tree, examine where the trunk starts to flare out at the base and you can see the first two roots. You really have to dig down sometimes to find the root flare within the rootball. You might have to shave off the top of the rootball to expose the root flare. Don’t worry about disrupting some of the root structure – the tree will be much happier once properly planted in the ground. Step 3 – Measure and dig the hole. The rule of thumb when planting is you need to dig the hole two times as wide as and no deeper than the bottom of the rootball to the trunk flare. The flare of the tree should be at or slightly above the soil grade. If you’d like to learn how to plant a tree from start to finish, check out another one of our blog posts for a step by step tree planting guide. Looking for a tree care company to help you plant, prune or maintain your trees? Click here to read about choosing a tree care company that’s in it for you. We’re always happy to assist customers in establishing where the root flare is and helping determine the size of the planting hole. Learn more about how we can care for your trees.